Are You Performing “Validation of Demand” With Your End Users? Ok, you’ve heard me say before that I prefer we not call anyone inside of our companies the “customer”. The only customer we have is the Board of Directors, Taxpayers (for public entities), Shareholders (for private companies), and Internal Audit (for all companies!). So the right term is ‘end user’, because that’s what they are. And our job is not to delight them, but rather to meet their business needs and requirements in a way that delights the REAL customer – the groups noted above. 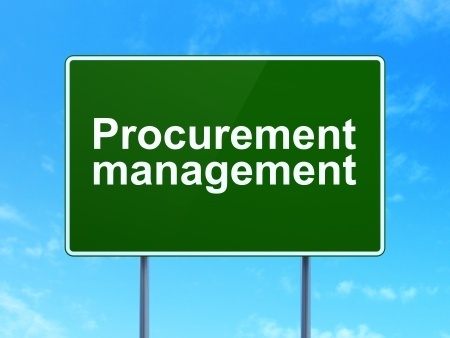 Now there is a function in the overall procurement process called “validation of demand” that every end user is supposed to go through when they generate any kind of demand – usually through a purchase requisition. Why is it you want to buy this? Why is it you need this many? Why is it you need these items now – as opposed to two quarters from now? What will happen if you don’t purchase this item at all? How will this purchase make your department better, and how will it enable your organization’s business objectives? Now the question I want to ask you is, is ANYONE asking these questions? Do you even know? Traditionally, three groups own driving validation of demand. Before the PO is Approved: This should be the end user’s manager and someone in finance (two people total, at a minimum) that are approving the requisition. This is a preventative control. Meaning, the goal is to prevent a problem from occurring. After the PO is Approved: That is the job of internal audit. This is a detective control. Meaning, the damage is already done, and everyone at this point is hoping internal audit is not smart enough to figure it out. Obviously the focus is on ‘before the PO is approved’. So my question to you is, why can’t purchasing play a role in this space? In fact, let me word that differently. I’m advocating, and have been advocating for a long time, that purchasing DOES play a role in this space. Why? Because I’m betting that the end user’s manager and finance rep are both focusing on whether or not there’s budget for these items and that’s about the end of the discussion. That’s not nearly enough. I have always said that the majority of TCO opportunities are found before you go to bid, and simply assessing budgetary availability won’t get you there. How did you come up with this SOW or Spec? Why do you need these particular bells and whistles? Did you use standard components and offerings instead of custom? If not, why? You need to integrate yourself into the validation of demand function. If you simply jump to who supplies these items exactly as requested and try to create competition, then you are presupposing that your end user created the SOW and Spec and everything else in a way that is TCO efficient……. ……….Which is a totally false presumption. So step out of your comfort zone, step out of what you think is your role, and add value even earlier in the end user engagement process. Challenge your end users. Don’t just get the lowest TCO on what the end user says they want, challenge the end user on what they think they want and make changes that utilize more standards and less customer parts and services, only as many bells and whistles as necessary, and the right quantity to enable the business and not a single unit more. You might not thrill the end user, but you’ll definitely thrill the Board of Directors, the Shareholders, the Tax Payers, or whomever else your allegiance SHOULD be aligned with. Make the right people delighted, and watch your career prosper. HUGE Summer Surprise! Only 25 available. It may not be summer in your part of the world, but we’re in full swing here. If you don’t have our flagship Membership, you need to get it now. Click Here to learn all about what you’re going to get. When you order, use coupon code: surprise and save $200 instantly! Don’t think for a minute that this breakthrough training series won’t apply to you. Click Here to discover what you’re going to learn. Save $200 instantly when you check out by using coupon code: surprise. 21st Century Buying for Public Purchasing Officers – A four part Advanced Purchasing Excellence video training series exclusively developed for Government & Public Sector Purchasing and Procurement Professionals. This training series will uncover the four dramatic shifts you need to be taking *now* to boost your skills to the next level. Click Here to see what you’re going to get with this training and use coupon code: surprise to get over half off now. Quite frankly, these training memberships are worth far more than their regular price for those who implement what’s taught. If you’re an implementer, I encourage you to join us NOW. Not later today. Not tomorrow. NOW. It’s THAT important and THAT significant. Heck, join all three Membership training’s for less than the price of one! All of my products come with a no questions asked, 30 day money back guarantee. I want you to ask for and get a full, no questions asked refund. You take no risk, it’s all on us. Join us today and take your zero-risk test-drive because this offer is available for only the next 25 to join. You’ve got nothing to lose and so much to gain. We’ll see you next week. Be your best!! 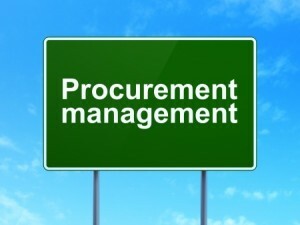 Previous post: Purchasing Training ~ Bribery, Corruption & Kickbacks!